With Easter just around the corner and our daily timetable due to start on 24 March we thought that you might like to know what we have been getting up to in the winter months. 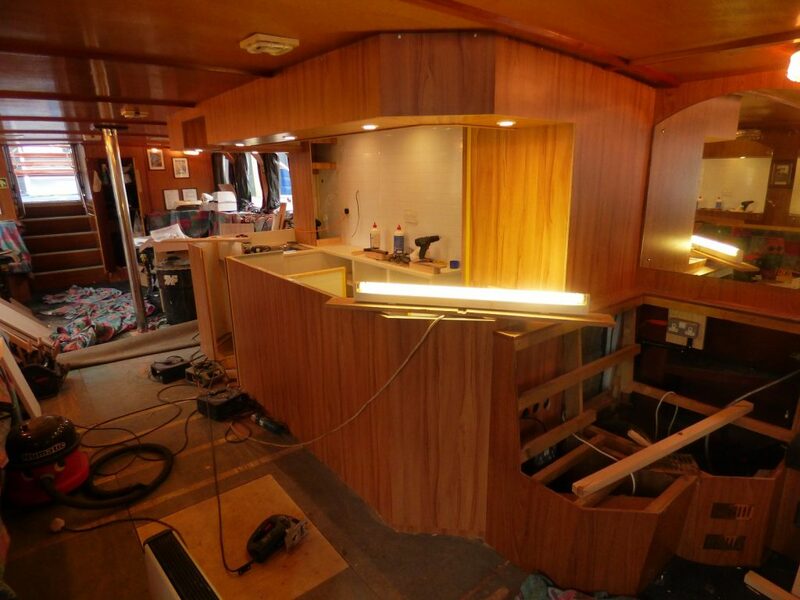 Everybody’s favourite passenger boat, the Vintage Broadsman, is having a larger bar fitted. Anybody who has ever joined us for one of our popular Boogie or Jazz evenings or has been a guest at a private charter will know just how ‘cosy’ it was for our crew behind the bar. 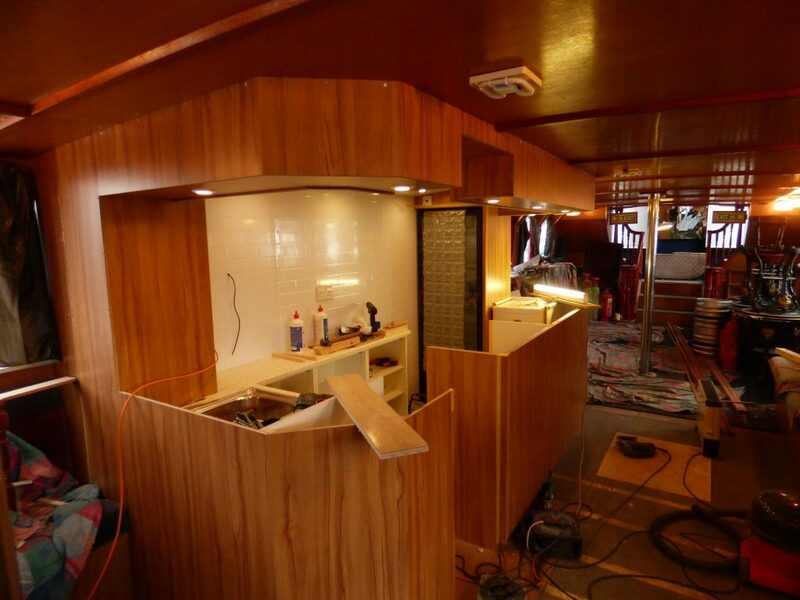 With these improvements it will certainly be easier for us to serve your favourite tipple! 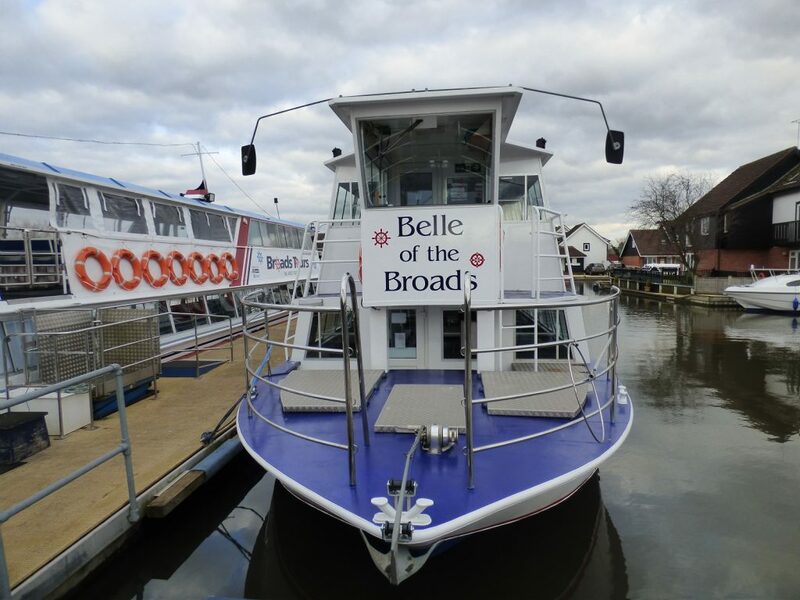 The Belle of the Broads has had a makeover too – having been repainted in a new midnight blue colour – and been fitted with a much larger, easy access upstairs toilet. This is a real improvement for the new season. 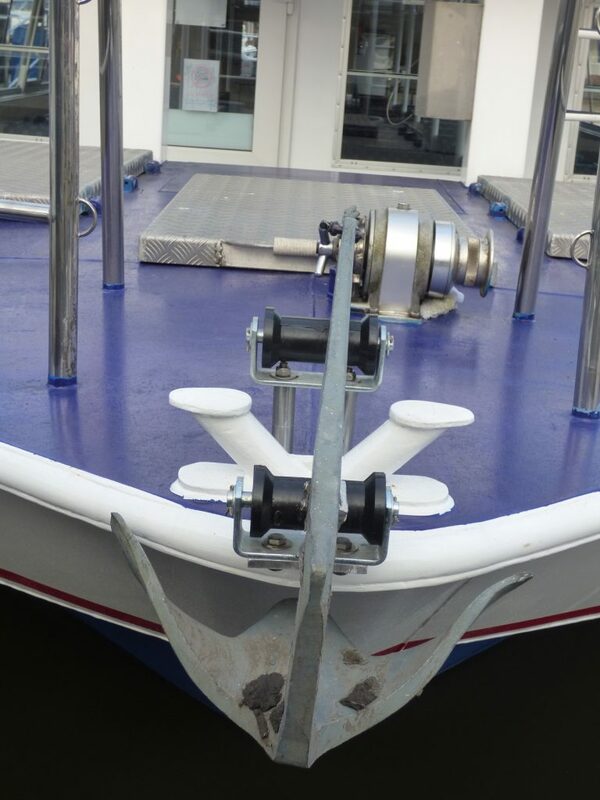 We have also fitted a smart new stainless steel access gate for the wheelchair lift plus an improved winch on the anchor. 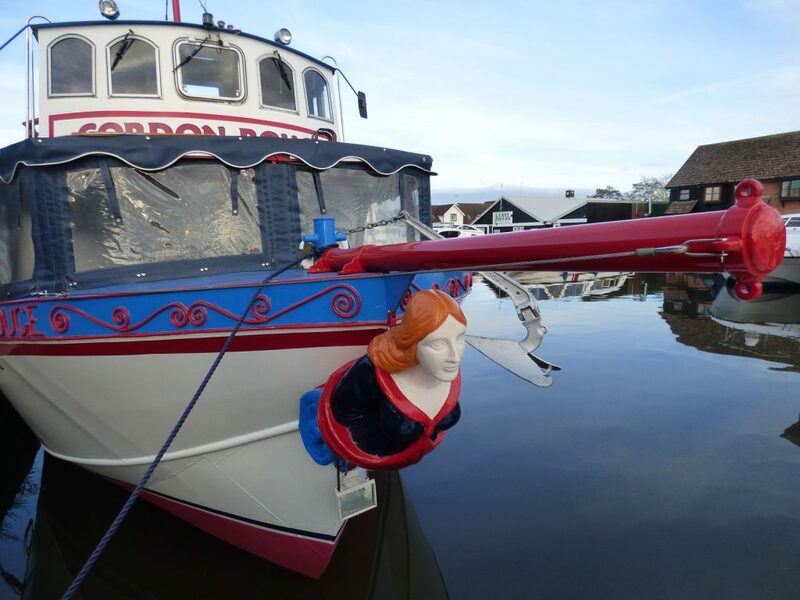 A big talking point is that the figure head on the Cordon Rouge – affectionately known as Doris – is sporting a new look ginger hairdo having been painted along with the rest of the boat! 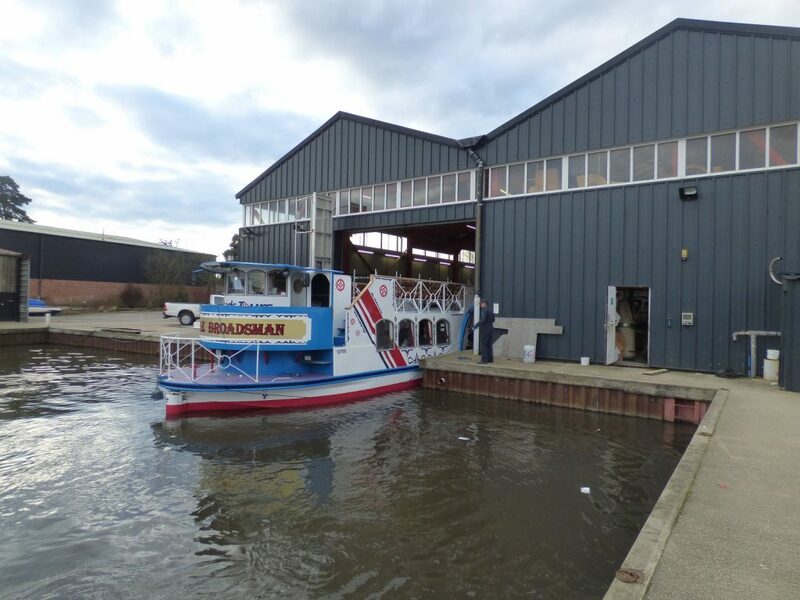 The Queen of the Broads is also looking spick and span having been painted and fitted with a new railing and UPV door. 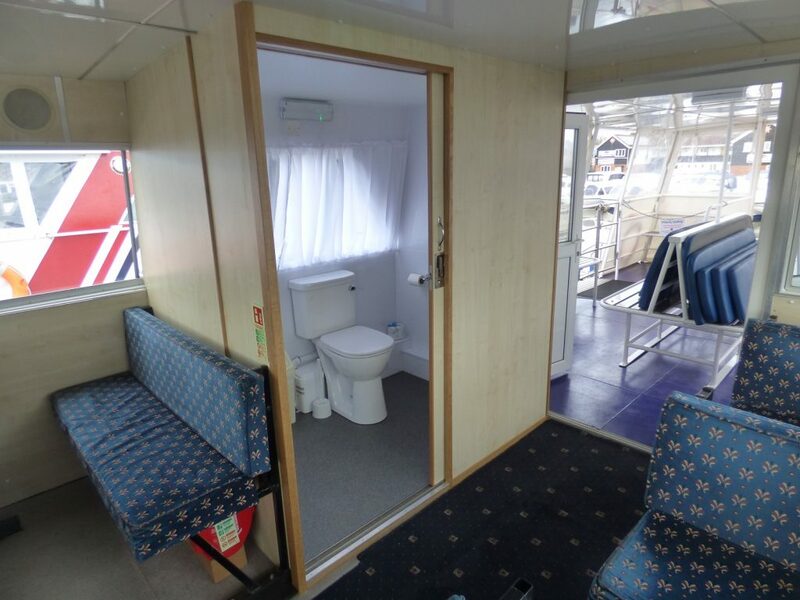 Earlier this winter we added a new heating and air conditioning system to the boat, which has made it much cosier in this cold weather and will hopefully make the boat more comfortable on hot sunny days. 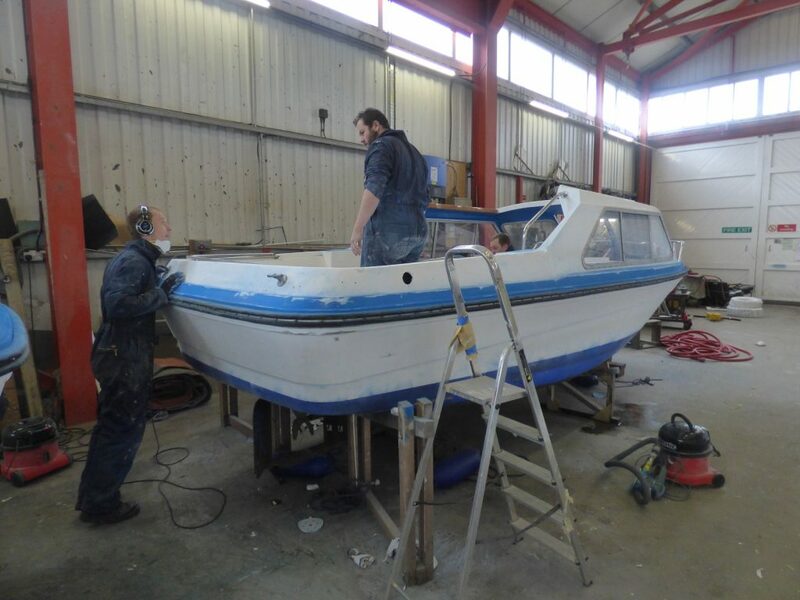 Our fleet of day boats are being painted so they look great for the new season. 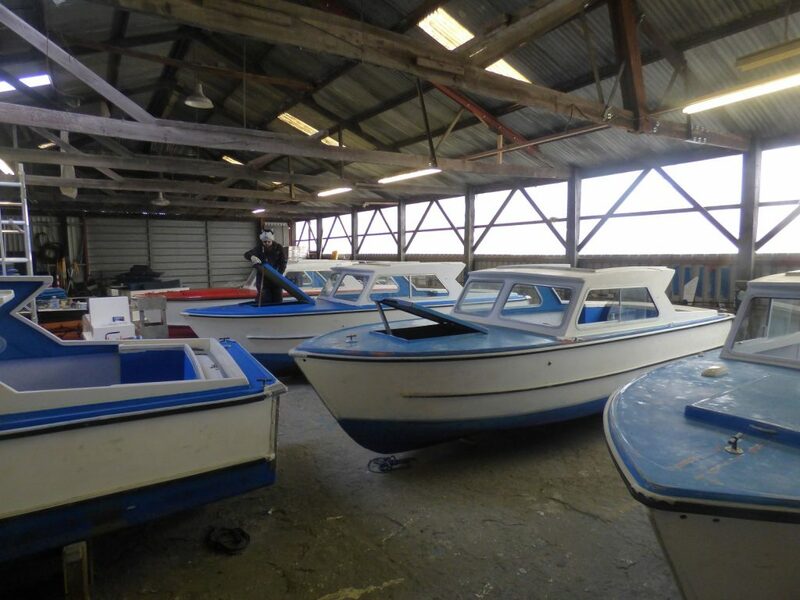 Our electric day launches are also having their engines refitted, which were removed for safe storage over winter.